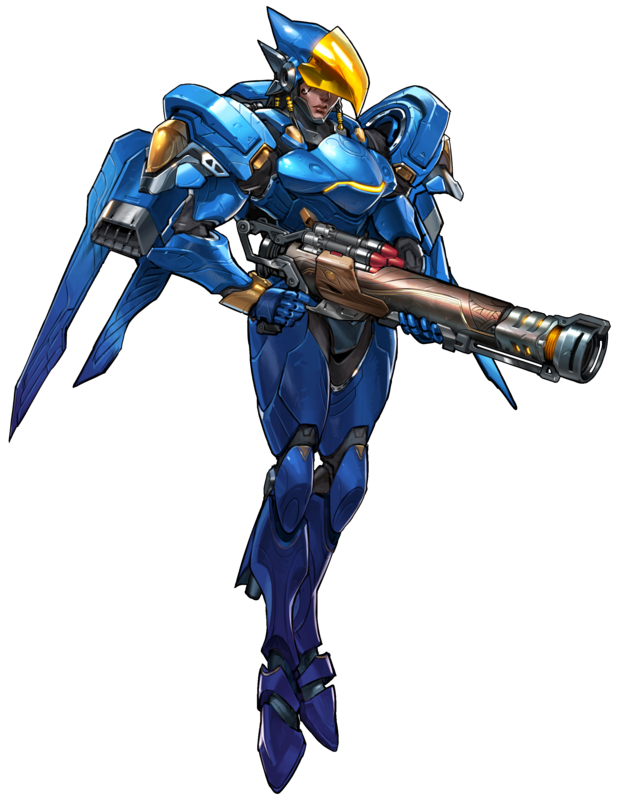 Pharaha, aka Fareeha Amari is one of the playable Heroes in Overwatch (2016) and classified as an Offense character. 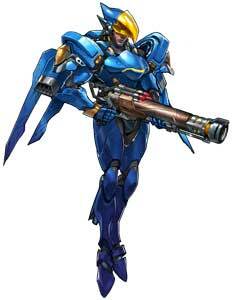 She uses a Rocket Launcher as her main weapon and can also activate a Jump Jet during the battles. 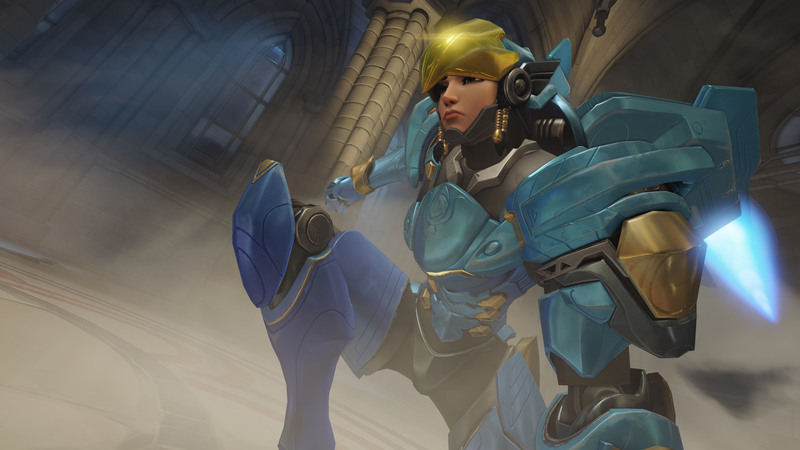 She is probably the daughter of Ana Amari. 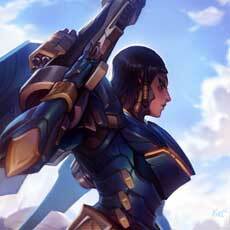 Fareeha Amari’s commitment to duty runs in her blood. She comes from a long line of highly decorated soldiers and burns with the desire to serve with honor. 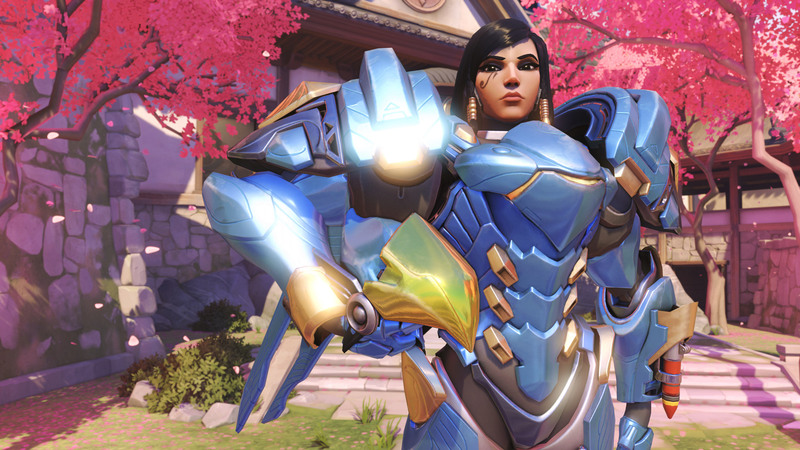 As a child, Fareeha dreamed of following in her mother’s footsteps and joining the global peacekeeping force, Overwatch. She enlisted in the Egyptian army, and her dogged persistence and tactical prowess caused her to rise up through the officer ranks. She was a courageous leader and earned the loyalty of all who served under her. 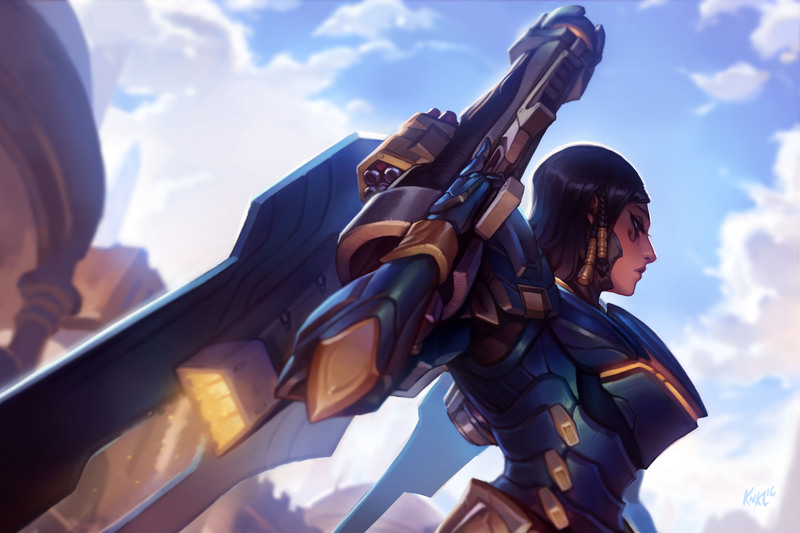 With her exemplary record, Fareeha was well placed to join the ranks of Overwatch, but before she had that opportunity, Overwatch was disbanded.